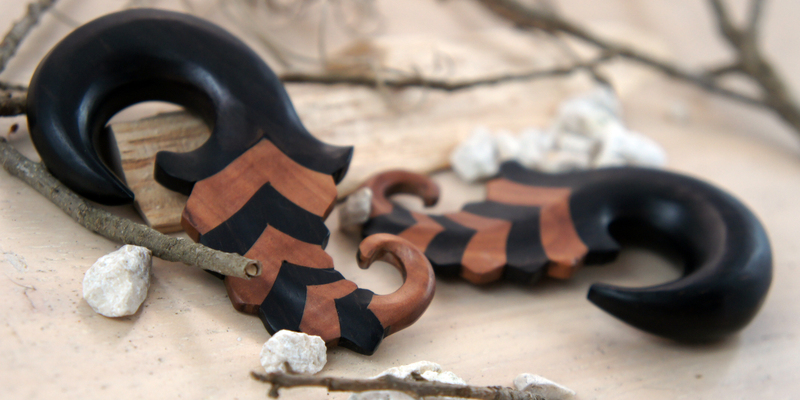 This pair of two toned Ebony and Sono Wood gauged ear hangers are fashioned into the shape of a fern leaf. 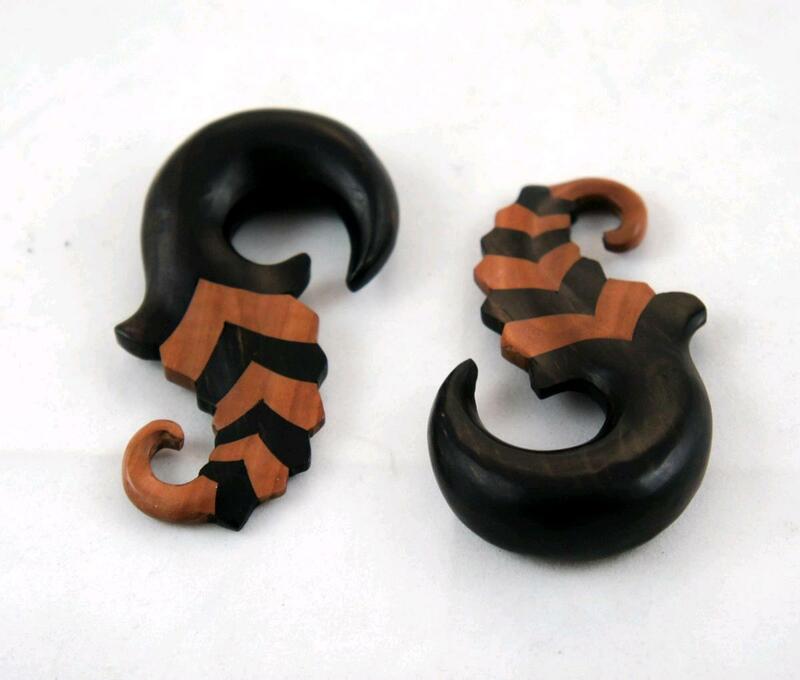 The ear hanger / hook portion of the earring is carved from Black Ebony Wood, and then each section of the fern leaf alternates between the lighter colored Sono Wood and the darker toned Ebony Wood. The colors and cuts of the ear gauges meld perfectly together to give the earrings a distinctive tribal look. While we typically try to keep most of the popular gauge sizes in stock if you don't see your gauge size listed please feel free to contact us or check back later as we're constantly restocking or adding new sizes and styles to our line. Note: While we're sure that our Organic Ear Gauges will be a great addition to your collection of hangers, we do not recommend wearing them if you are newly into ear stretching or have just moved up to a new gauge and are still healing. Due to the porous nature of horn, bone, and wood they will absorb moisture and bacteria from the healing skin which can lead to infection.